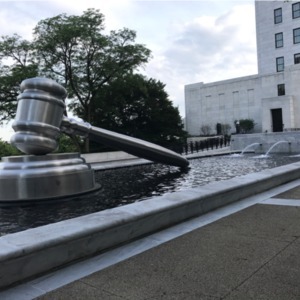 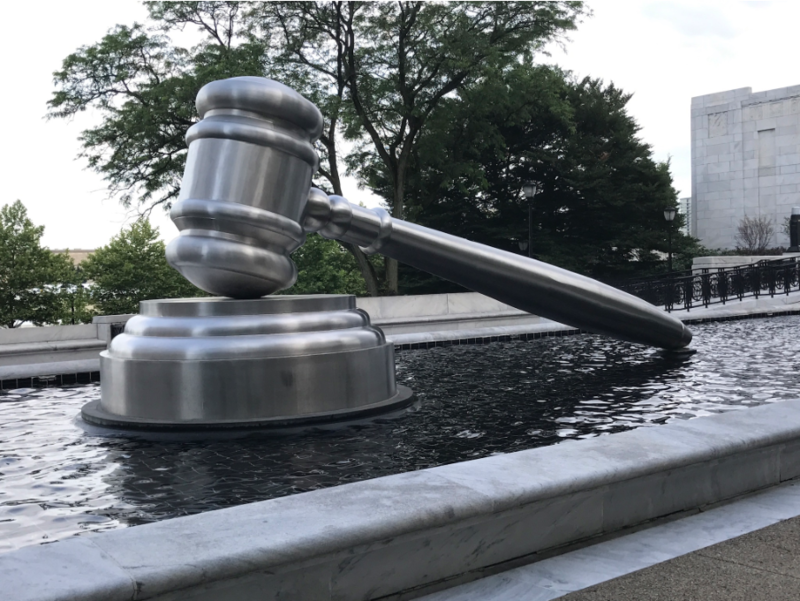 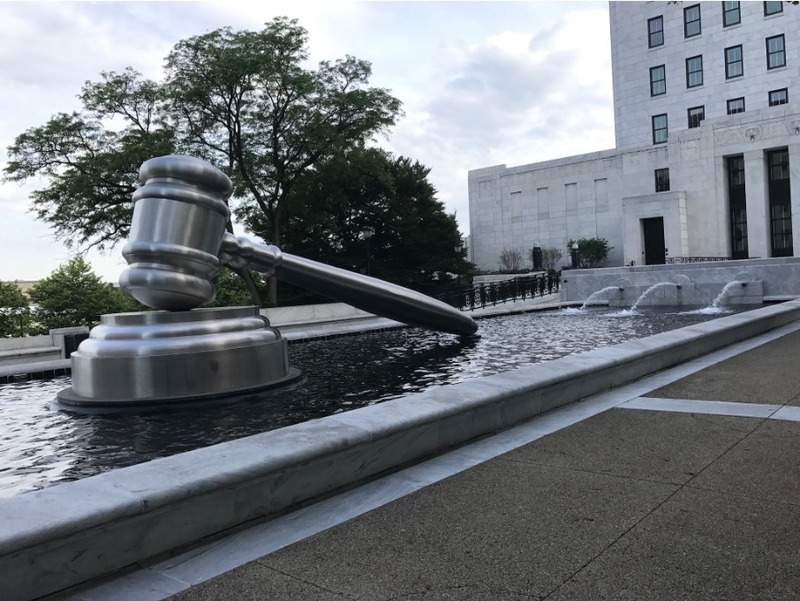 31-foot steel gavel on a steel sound block in the south reflecting pool outside the Ohio Supreme Court. 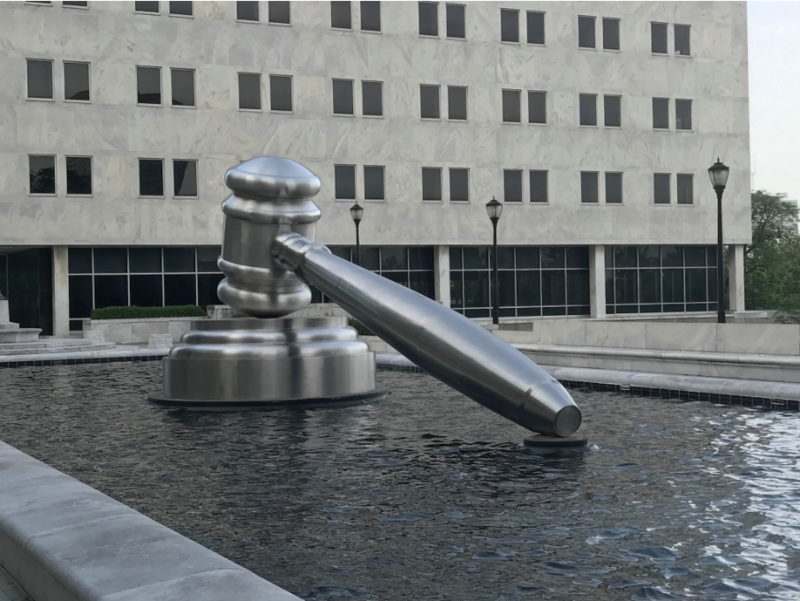 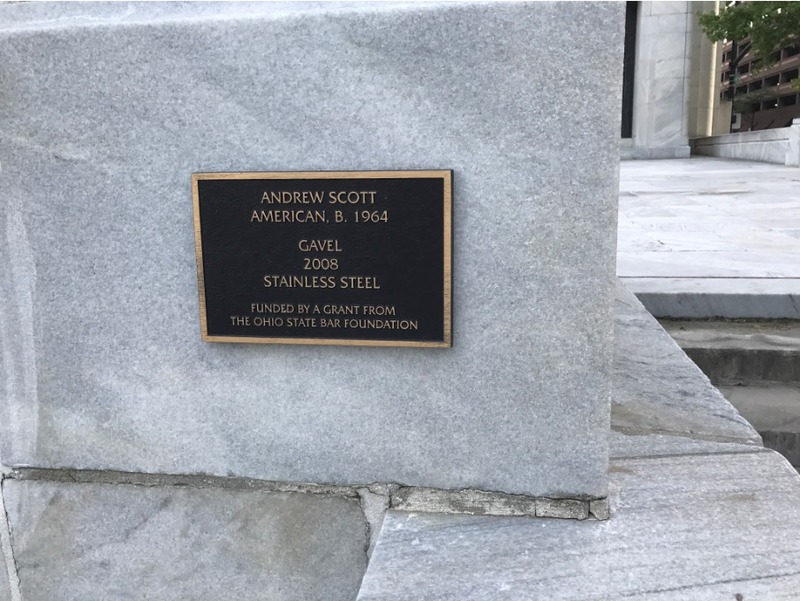 Made completely from stainless steel It is the largest gavel in the world. 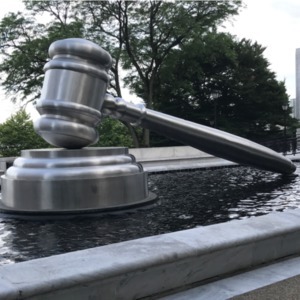 The sculpture was commissioned by the Ohio State Bar Association for the price of $200,000. Scott's oversized rendition of the symbolic tool of the judge is charged with notions about the omnipotence of the judiciary. 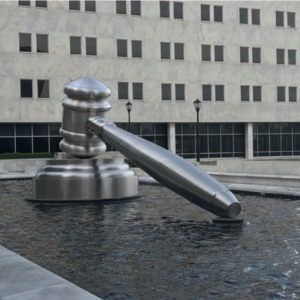 Notions which are bolstered by both the imposing materiality of the work and its isolated location within a pool. 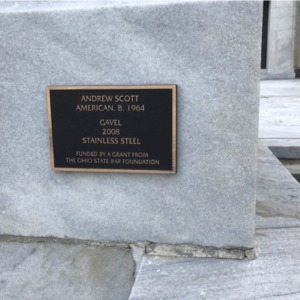 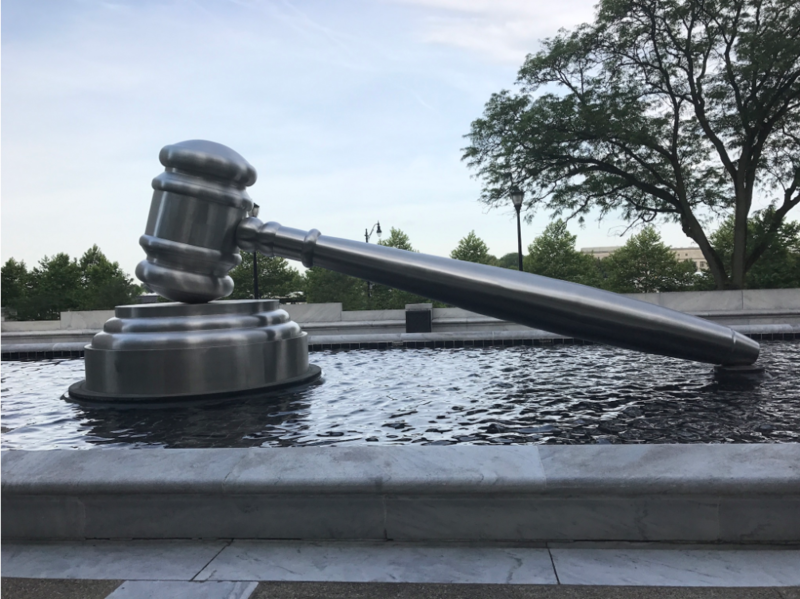 : Andrew Scott, “Gavel,” Ohio Outdoor Sculpture Inventory, accessed April 18, 2019, http://oosi.sculpturecenter.org/items/show/1387.